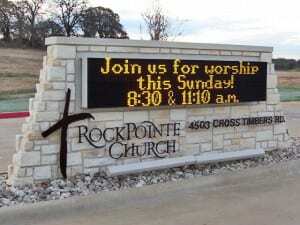 You reach a very large audience with outdoor LED signs – perhaps thousands of people who pass by your business. Each one can see an informative message in vibrant colors, such as one highlighting your products and services, advertising a customer loyalty program, supporting your social media initiatives, or announcing the latest sale in Johns Creek. It takes little time to update the message on an LED sign, so you can respond quickly to the things you need to announce or advertise to your Sandy Springs customers. And you can switch images frequently and therefore have more content for any single subject than you can with a traditional sign. And when you need to change the message, no more going out to update the manual reader board. 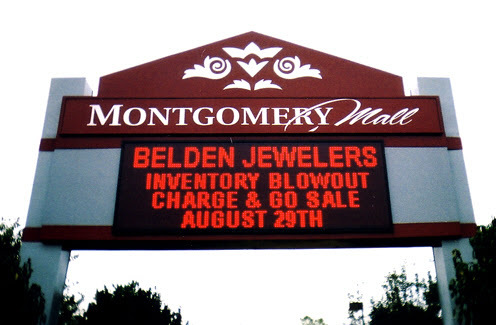 A LED sign is great for advertising in North Fulton County. You can easily replace outdoor banners, yellow-page ads, inflatable figures, and other traditional media campaigns with advertisements that effectively build awareness of your products and services. Not only does a LED sign cost less per impression, but you can produce an advertisement quickly and reduce the lead-time needed in the case of traditional advertising. Studies have shown that high percentages of people respond to interactive messages that are given within sight of the place of business, and this can only increase your bottom line. If you would like to learn more about this effective and affordable means of communicating, call United Signs of Peachtree Corners at 678-203-6044 or submit our no-obligation contact form. United Signs is the number one sign company in the Southeast providing LED illuminated signage, and our team will be happy to help you leverage this technology in your own business.